“Polly, Annie, Elizabeth, Catherine and Mary-Jane are famous for the same thing, though they never met. They came from Fleet Street, Knightsbridge, Wolverhampton, Sweden and Wales. They wrote ballads, ran coffee houses, lived on country estates, they breathed ink-dust from printing presses and escaped people-traffickers. I cannot tell you how much I loved this book! Finally a voice for the women who became the victims of Jack The Ripper. While Jack has become the hero of this story over the century and a half since the Whitechapel murders, Polly, Annie, Elizabeth, Kate and Mary Jane can now tell their own stories, and they are ones that will make you weep with pity and frustration. Mothers, wives, daughters, friends, all these women had, at some point, a family that loved them, some were educated, all suffered at the hands of an unjust and cruel society that failed them over and over again. What Hallie Rubenhold has done with this book, is not only tell a fascinating tale of women’s lives in Victorian times, but she has bestowed some dignity upon them, finally. Read this! I implore you! Never sentimental, always empathetic, this is a non-fiction book that is as gripping and page-turning as any fiction novel. It’s important and timely but also just a damn good read. Cannot recommend highly enough! I suffered from a huge book hangover after reading The Five and I am still thinking about them now. Her Majesty Saffy approved heartily! I have thought about what I might write for this review, and have finally come to the conclusion that whatever I write will come nowhere close to doing this book justice. It was one of those books where I started to dread finishing because I didn’t want to leave them behind. It melted my heart but it also broke it. The funny thing is, I was almost put off reading Home upon realising it was narrated by a four-year-old as I’m not a massive fan of child narrators (except the utterly brilliant Room and Only Child). However, buying Home has turned out to be one of the best bookish decisions I have ever made! Within two pages, I had warmed to Jesika so completely that I wanted to scoop her up in a big fat hug. Jesika lives with her Mum Tina and baby brother Toby in a high-rise flat with a corrupt Landlord and unsavoury neighbours. This is a story of poverty and struggle and yet it is also a story of bravery and triumph. Some of the themes of the book are not easy to read but seeing it through the eyes of a child adds some distance allowing the book not to take a depressing or gratuitous turn. Every character in this book is so wonderfully drawn that I took pretty much all of them to heart. There’s not much more I can say about the plot without ruining it and whatever more I do say will never truly capture the beauty and brilliance of this book. The only thing I can say with any certainty is READ IT! Warning: Jesika will steal your heart. You will not want to leave her behind and you still think about her long after you have set this book down to rest. I cannot recommend highly enough! Throwback Thursday is a meme created by Renee at It’s Book Talk to share old favourite books rather than just the new shiny ones. This is a great idea to bring back to life some much-loved books. Please feel free to join in. My choice for this week is: Wolf Totem by Jiang Rong. Taken from my review in 2009, this book is still firmly at the top of my favourite ever reads. In 2008 it won the first ever Man Asia Literary Prize and with good reason. I have hardly ever come across anyone else who has read it but I honestly recommend so highly. From the very first page I was hooked. Jiang Rong creates such a vivid and compelling narrative that I found myself simultaneously gripped with the story yet trying to slow down and savour every word, so beautiful was each sentence. 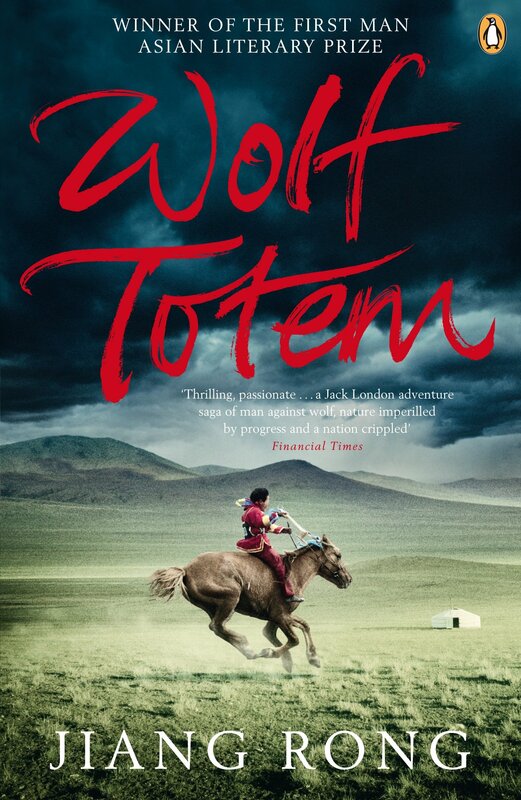 Wolf Totem is semi-autobiographical and Jiang’s passion for the Mongolian grasslands shines through on every page. The description of the grasslands themselves, the wildlife, the lifestyle and survival was stunning. So few books make me believe that I am there at the actual place, but with this book I was there on horseback, hiding from wolves, fleeing for my life, braving blizzards and building campfires. I smiled, I cried, I hoped and I silently pleaded all within the space of an hour. I also fell in love with wild Mongolian wolves. To get to know them was an honour– they are clever, cunning, brave, brilliant and I loved following their story (from both sides – the good and the bad). The Little Wolf that was captured and raised by humans both enchanted me and broke my heart. While this book is most certainly a tale of the grasslands of the last 10,000 years and what happens when modern living creeps in, it is also a book about so much more. I can’t praise this enough; I am sad that it has ended as I could have read on for another 500 pages. What a beautiful book, one I highly recommend and one I will be reading again and again. It’s now quite a while since I read this and I really think I want to read it again soon; just reading this review has brought back so many memories of how wonderful it is. If you love animals, nature, different cultures, the human spirit or just damn good literature then you will love this. Thursday is a meme created by Renee at It’s Book Talk to share old favourite books rather than just the new shiny ones. This is a great idea to bring back to life some much-loved books. Please feel free to join in. When I began this book I have to admit that I didn’t think the three words I’d be using to describe it would be drama, excitement and intrigue . In fact, I really had no intention of reading this book at all any time soon as a friend of mine had to study it in school as a teenager and told me it’s the worst book she’s ever read and that had stayed with me and filed into the “don’t bother” part of my brain. But then I saw or heard something about this book (I forget where and what) and that it was about a man who sells his wife and baby daughter at a fayre and immediately I thought that sounds intriguing and off I popped to pick up a copy. How glad I am that I did – The Mayor of Casterbridge has turned out to be one of my favourite books! I loved it! Michael Henchard is a young man of twenty-one and walking the countryside of Dorset with his wife, Susan, and their baby girl, Elizabeth-Jane, looking for work. They decide to rest a while in a small village where there is a fayre and several drinks later, Michael starts loudly asking for bidders to buy his wife. After accepting 5 guineas from a sailor he wakes later to realise that they have actually gone and when he realises what he has done he swears not to drink a drop more of alcohol for another 21 years (as long as he has so far lived). He starts to make inquiries about where the sailor and his family may have gone but nobody knows who he is and Michael is too ashamed of his conduct to search too effectively and he sets off on the road once more, alone. The story then fast-forwards eighteen years and Michael is now the Mayor of Casterbridge (modeled on Dorchester in Dorset). It’s difficult to say more about what happens next as I really don’t want to give it away – this book is much better read if you know nothing about the characters and what is to come yet as there are plenty of twists and turns along the way. The fuller title for The Mayor of Casterbridge is The Life and Death of a Man of Character, and that is really what this book is based around – Michael Henchard and his fall and rise (and fall again). The main cast of characters is small enough that we really get to know them well and care about them: Susan and Elizabeth-Jane become part of the story again as does a Scottish traveller looking for work, Donald Farfrae and a young lady, Lucetta Templeman, who gets caught up in something that will come back to haunt her in a big way later in the book. Henchard really is a man of character, as the title suggests, and he is prone to jealousy, impulsiveness and malice but in turn he can be caring, warm and reflective meaning that the reader never hates him, but actually feels for him as he is his own harshest critic. What astounded me was Hardy’s understanding of human nature: time and time again I was amazed that he had managed to get it so spot on; to really make me feel as the characters did and understand why they behaved the way they did. What I really loved about this book, though, was the drama. This is why I love all the Victorian books I have read so far – they’re like watching a soap-opera. The Mayor of Casterbridge has it all – love, hate, greed, jealousy, deceit and repentance. And watch out for a scene involving a skimmington-ride (what the Victorians – and those before them – used to do to humiliate people, particularly adulterous women or women who beat their husbands which involved a very rowdy and public parade with effigies of the persons concerned being ridden through town on the back of donkeys) which has extremely tragic consequences. I heart Thomas Hardy! This is the second book of his that I have read (the first being Tess) and I now fully intend to gorge myself on the rest this year. Forget your preconceptions about dry and dull Victorian literature – this book has it all! A firm favourite now and one I will definitely read again at some point. Have you ever read a book where, when you turn the final page, you are simultaneously enraptured, enchanted and bereft at having to leave the characters right there on the page and carry on without them? This is that book. Inspired by the legend of Selkies (seals who can transform into people) and set in a small fishing village in Scotland, this is a book about love, redemption and an awakening, all with a sprinkling of magic. Donald is a young man who is always on the outside, preferring his own company to being among those who mock him and one day, while out on the seas, he is involved in something that will change the course of his life forever. The act is shocking and unexpected but it is a talented writer who can lead you gently in Donald’s footsteps as he learns to atone himself and allow the reader to begin to forgive him as he begins to forgive himself. What did I love most about this book? Everything. Really, just everything. There was almost a childlike wonder to reading this book; a fairytale that bewitched and enchanted. It is the sort of story that I would want someone to read to me while tucked up under a blanket with a hot chocolate. That’s how it made me feel. I miss it now it’s over. I miss them. Haunting and evocative with such fluid prose, this is a book of beauty and magic. I fell in love: with the landscape, the cast of characters and with the awakening of a whole village. I was there in the pages. I tasted the salt on my lips, I felt the wind whip through my hair, I felt the bitter cold of rain-soaked clothes and I felt the freedom of running through the grass with abandon. This book is special. January is not yet over and I already know that Sealskin will be in my Top 10 books for 2017. I will be recommending this book to everyone I know. And I will read it again. And again. NB/ Thank you to Orenda Books for a copy of this wonderful book which I chose to read and review honestly. Five people’s worlds collide in an instant. A car crash binds worlds together in ways none of them could have imagined. The premise of this book drew me in: coincidence, serendipity, luck (good or bad) and what happens after to those involved in the aftermath. The book is set in the city of Salisbury, somewhere I have never actually been but would like to go – the author apparently grew up there and I have to say that parts of the book did read like a love letter to the city, piquing my curiosity. The five rivers of the title really do meet on a wooded plain in Salisbury and the story (or stories) is constructed around the lives of five different characters whose lives also meet in one spot without warning one day. 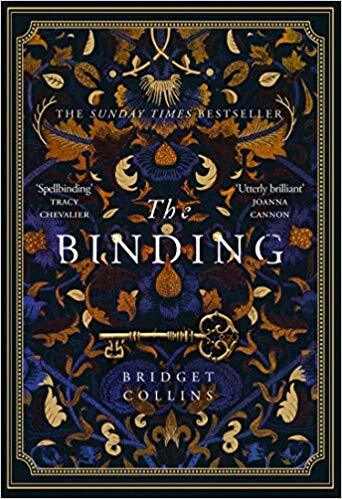 While this book, for me, was a bit of a slow burner, by a third of the way through I was captivated, mesmerised and enchanted. It’s rare for an author (particularly one who is only in his mid-twenties) to be able to so keenly observe and understand characters in a way that you feel what they feel and you can find parts of yourself if every character (if you’re brave enough to admit it), crossing age, class and social boundaries. A drug-dealing flower-seller, a school boy in the throes of his first love, a widower who is questioning the point of life alone, a lonely army wife and a security guard who is trying to find himself again in the familiarity of his old town. These are the characters that fate throws together that night. I am tempted to say that the book actually reads like several short stories but that would be doing it an injustice in this case as there are threads (both strong and tenuous) that bind them together in ways they do (and don’t) realise. If you’ve ever lost anyone to death or the end of a relationship, if you’ve ever felt regret for the life you didn’t have, if you’ve ever felt lonely even in a crowd or if you’ve never figured out what your purpose is, you will find something that resonates in this book. The characters – Rita, Sam, Geroge, Alison, and Liam – independently tell us about their stories and it makes us realise how we never really know what’s going on behind closed doors. We all wear masks, and wear them well, and few people ever see past the face we present to the world or even to ourselves, but when all said and done it’s love, hope, fear and regret that connect us. I said earlier that this book felt like a love letter to Salisbury, but I would also go as far as to say that it is a love letter to humanity. I absolutely loved it. I was astounded by Norris’s perception of people, and his empathy and gentleness with them. There were moments I had to stop to draw breath or even write something down, and it is so rare that I do this when reading a book. I came to Five Rivers with little expectation and left it with a sense of awe. Highly, highly recommended and I cannot wait to see what Norris comes up with next. He has a fan.